It is real grass and not artificial. 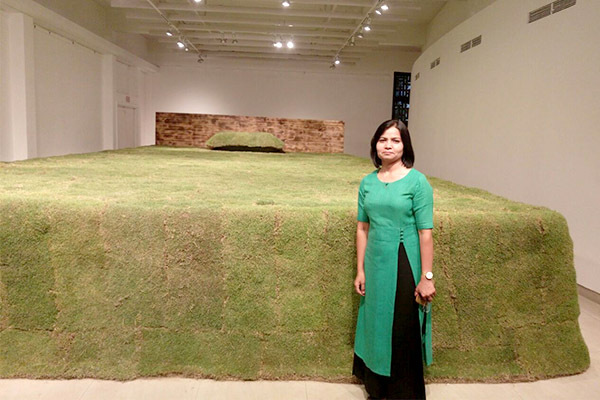 Rita Prasad’s Metamorphosis has raised many an eyebrow more because of its volume than the medium. 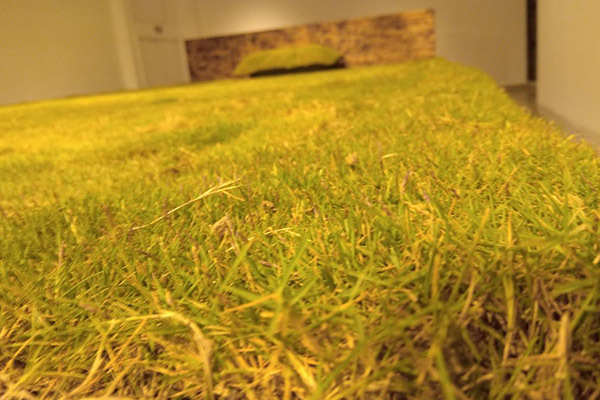 This 30 feet long and 16 feet wide grass bed doesn’t let you absorb the artwork in one sight. You need a longer gaze. The magnanimity of the piece makes everyone pause right at the door. All the while pondering a deeper meaning behind a simpler piece like this one. But to understand this installation at one go, one has to be in sync with Rita’s earlier work. Like a shooting star theory Rita has been exhibiting her line of thought every two years since 2011, this being the third in succession. The first two exhibitions revolved around defining the concept of “Want of Luxury” much like Benjamin Franklin’s ‘ For the want of a nail, where she presented her sculpture installation made in stark red leather and spikes. She installed a Black Bullet Bike which had red leather seats but with spikes. And then there was the dining table and lounge chairs with spikes on the chair seats. Likewise she installed a double bed as well but my personal favourite remains a red stiletto oozing steel spikes. Where on one hand the red leather depicted luxuries of life that people run after, the steel spikes that exuded out of the pieces clearly signed the pain and price we pay for those luxuries which do not even bring us basic comfort. And now comes the bed with the grass, Real Grass. 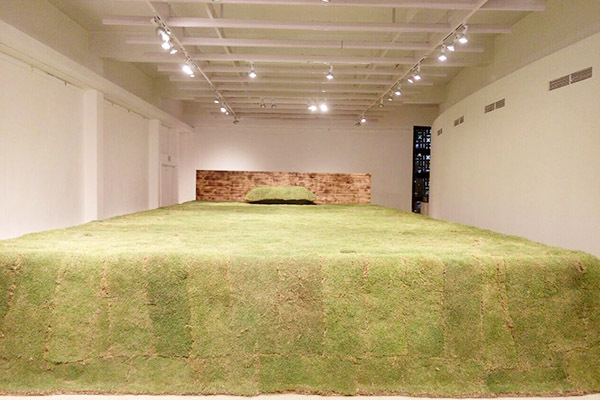 It’s just one bed in the entire gallery space and it sits with its voluminous base. Period. Clearly the artist has made it obvious – this is what we all want, peace and happiness, and it comes only at the grass root level. I see the gleam in everyone’s eyes around me, they all want to touch the grass and if the artist would have allowed, then perhaps take a back stretch! An experimentalist at the core, Rita Prasad is one of the few artists who dares to step out of their comfort zone in order to define their thoughts through unconventional mediums, styles and methodology. 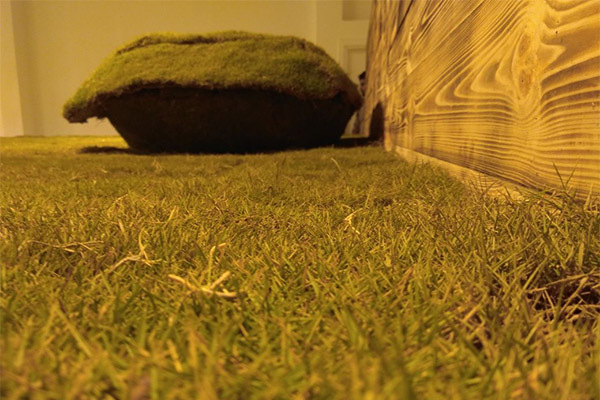 Metamorphosis is an exhibition of her installations that brings about the positive aspect of going back to the nature. My works talk about an experimentation with nature as a medium, technique and form as well as certain human emotions which somehow all of us go through. 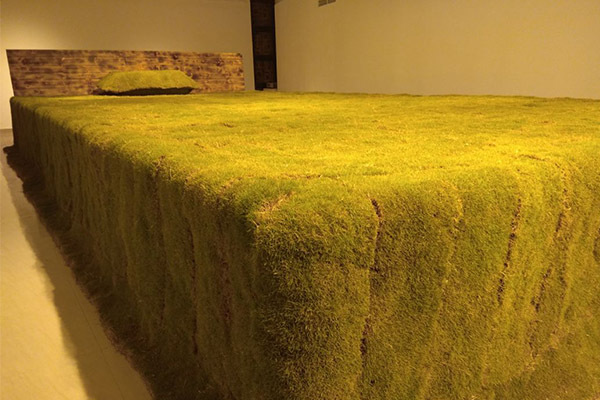 “This installation is a metamorphosis from industrial material to nature as a medium where the industrial material depicts all hardships of life and struggle, and the nature marks for a peaceful and contented life,” explains artist Rita Prasad in her words. The exhibition is on display till 2nd May at Shridharani Gallery, Triveni Kala Sangam, New Delhi. 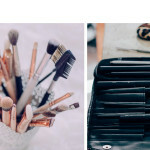 Kiran has been writing for the media for last 15 years and her interest areas include Fashion, Travel, Lifestyle & People. When not on job, she loves to make sculptures.